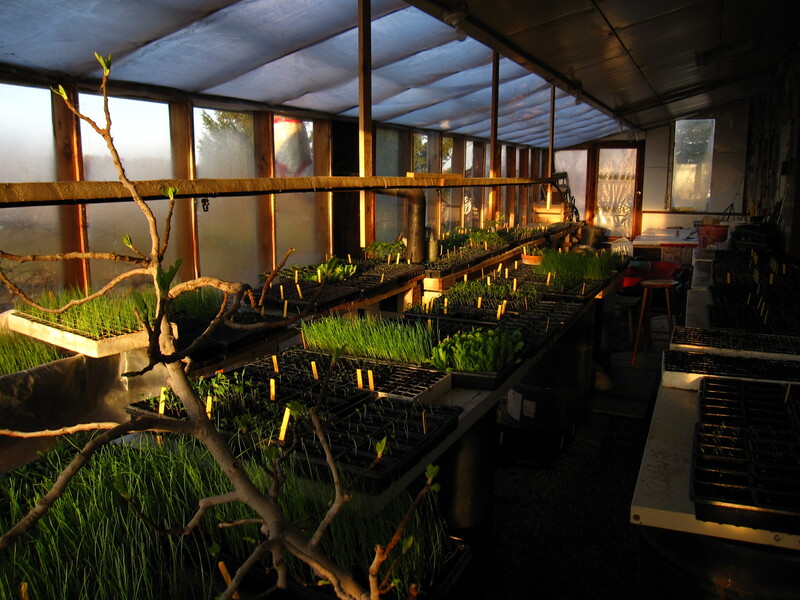 In the winter, the greenhouse gives life to green things on the farm. The greenhouse shares its northern wall with the house, insulating it on one side, and collects solar energy from all other angles. To the right you can see the little wood-burning stove and the concrete surrounding it that we use to keep the temperature up during cold February, March and some April nights. 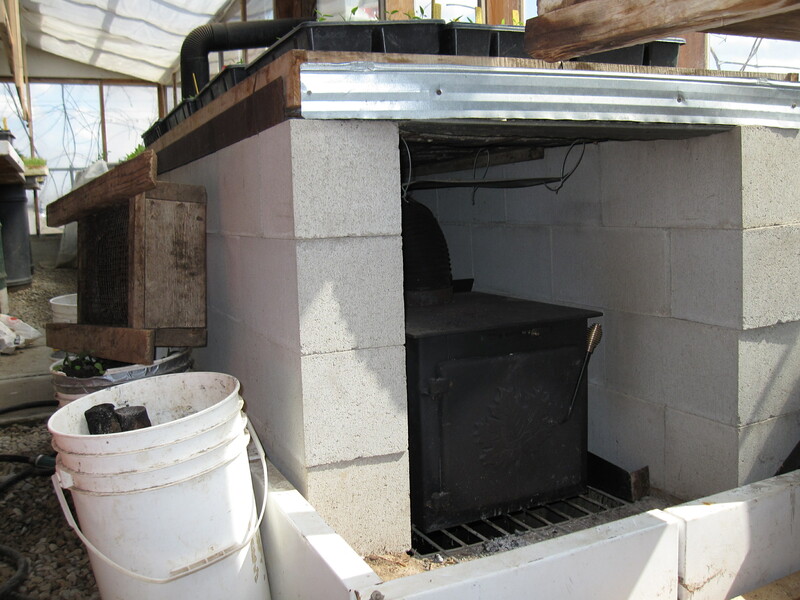 The concrete blocks provide support for the gravel bench above that keep heat mogrel plants like pepers and tomatoes happy, and they, along with other water tanks and other plants provide significant thermal mass to keep the temperature up over night.